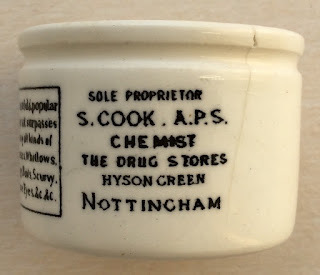 Samborne Cook was born in Somerset in 1857 and at the age of 16, he moved to Nottingham to serve an apprenticeship as a chemist and a druggist. 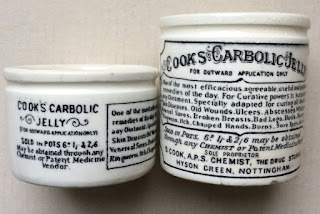 He started his business in 1881 which expanded rapidly and several branches were soon established. 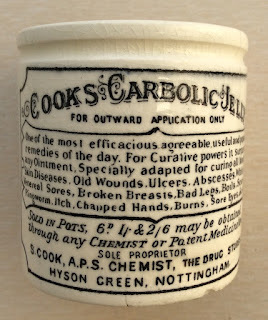 The popular ointment was featured in trade journals and it was stated that Mr Cook's speciality is his Carbolic Jelly, invented in 1885. 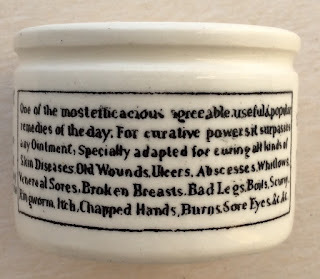 For curative powers it surpasses any other ointment, and is especially adapted for curing all kinds of skin diseases, old wounds, ulcers, etc. 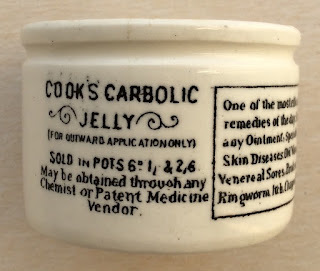 There are three price levels listed but only two pot sizes are known. book produced by Messrs. Houghton & Priestley, Pages 62 & 63.